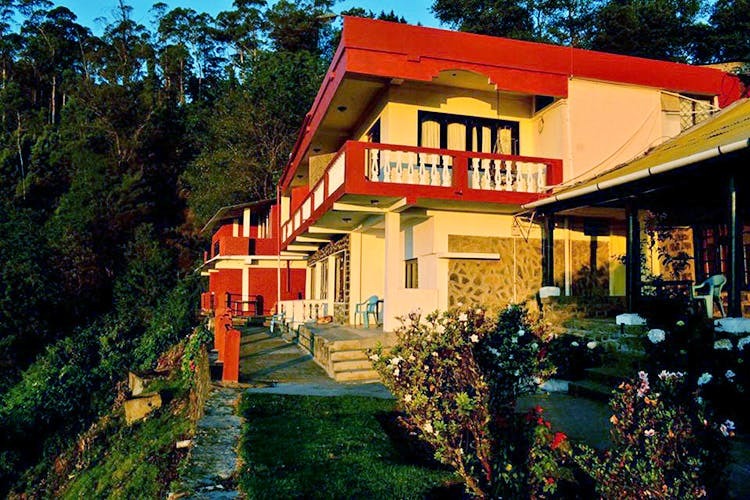 Greenlands Hostel, in Kodaikanal, sits pretty on a hill and offers sweeping views of the locale. The budget hostel offers bunks beds at INR 400 and cosy, private rooms for less than 3k a night. Offering one of the best budget stays in Kodaikanal, Greenlands is located near the picturesque Coaker’s Walk. While not far from the hill station’s main attractions, we love that it is still cut off from the crowd and sits among lush, green hills. If you are a sucker for spectacular views, then, there’s no place like this one. The front lawn opens out to the surrounding mist-covered valleys and sunsets make for a breathtaking sight. When you are on a super-lean budget, you can shack up in their basic but clean dormitories that come for a mere INR 600. However, if you prefer your privacy, they have cosy deluxe (INR 2400 – peak season prices) and super deluxe rooms (INR 2,600). These are carpeted and come with their own private balconies from where you can enjoy the view. The super deluxe rooms even come with a fireplace for when it gets super chilly. If you are travelling in large groups and during off-season, you can expect discount on your room rates. The hostel also gets wild visitors from time to time. Bison, in particular, are a common sight on the grounds. If you like to see more, you can sign up for their trekking expeditions that takes you through deep forests and also to the highest peak in Kodaikanal. These treks can last between two to four days and include picnics and games. If you are parked at the hostel, then you can ask the kitchen to whip you up something. They offer Indian and Chinese meals and these meals are served hot so that can you keep warm and toasty.